Iran’s President Hassan Rouhani says the most important issue in Tehran-Europe relations today is joint efforts to consolidate and implement the Iran nuclear deal. 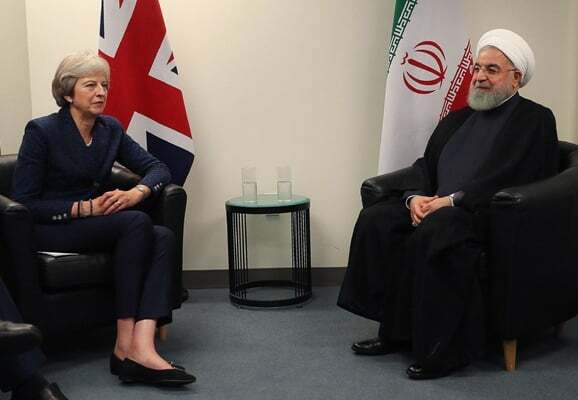 Rouhani made the comment in a Tuesday meeting with British Prime Minister Theresa May on the sidelines of the United Nations General Assembly in New York. The president touched upon the United States’ illegal withdrawal from the nuclear agreement. “Through the promotion of cooperation and consultations, we should try to work out an appropriate practical framework to preserve and fully implement this agreement, especially in economic arenas,” the president said. Rouhani underlined that based on reports by the International Atomic Energy Agency (IAEA), Iran has lived up to all its commitments under the nuclear deal. President Rouhani also said Iran’s power only serves to defend the country and counter terrorism, saying Tehran has a policy of easing tension in the region and across the world. The British premier, in turn, underlined the necessity of preserving the Iran nuclear deal, urging Tehran and London to press ahead with their cooperation to that end. She also extended condolences on the Ahvaz terrorist attack, and said Britain condemns terrorism and regards war on terror as important.